W. W. Norton & Company, 9780393248876, 256pp. Why did Charlotte Bront go to such great lengths on the publication of her acclaimed, best-selling novel, Jane Eyre, to conceal its authorship from her family, close friends, and the press? In The Secret History of Jane Eyre, John Pfordresher tells the enthralling story of Bront 's compulsion to write her masterpiece and why she then turned around and vehemently disavowed it. Few people know how quickly Bront composed Jane Eyre. Nor do many know that she wrote it during a devastating and anxious period in her life. Thwarted in her passionate, secret, and forbidden love for a married man, she found herself living in a home suddenly imperiled by the fact that her father, a minister, the sole support of the family, was on the brink of blindness. After his hasty operation, as she nursed him in an isolated apartment kept dark to help him heal his eyes, Bront began writing Jane Eyre, an invigorating romance that, despite her own fears and sorrows, gives voice to a powerfully rebellious and ultimately optimistic woman's spirit. The Secret History of Jane Eyre expands our understanding of both Jane Eyre and the inner life of its notoriously private author. Pfordresher connects the people Bront knew and the events she lived to the characters and story in the novel, and he explores how her fecund imagination used her inner life to shape one of the world's most popular novels. 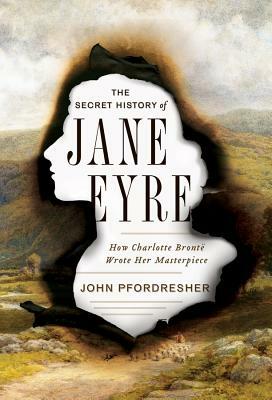 By aligning his insights into Bront 's life with the timeless characters, harrowing plot, and forbidden romance of Jane Eyre, Pfordresher reveals the remarkable parallels between one of literature's most beloved heroines and her passionate creator, and arrives at a new understanding of Bront 's brilliant, immersive genius.